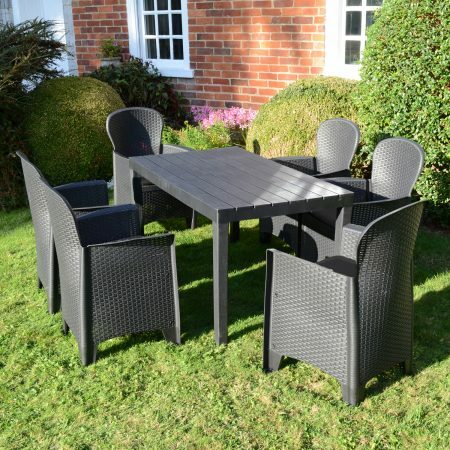 The Italian inspired Libeccio set is very strong being manufactured from resin and fibre glass, the textured finish is something unique. 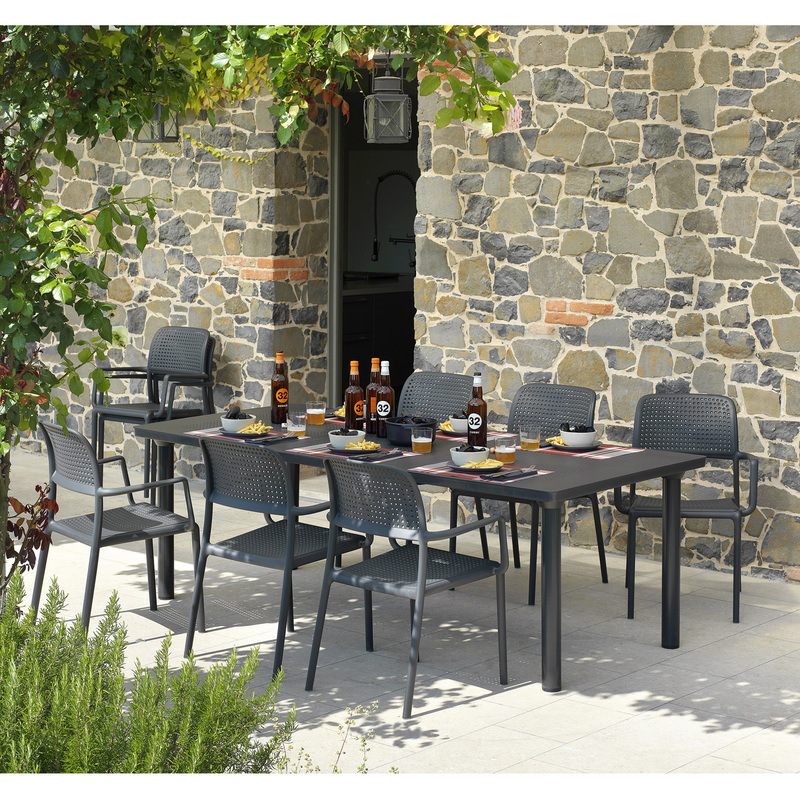 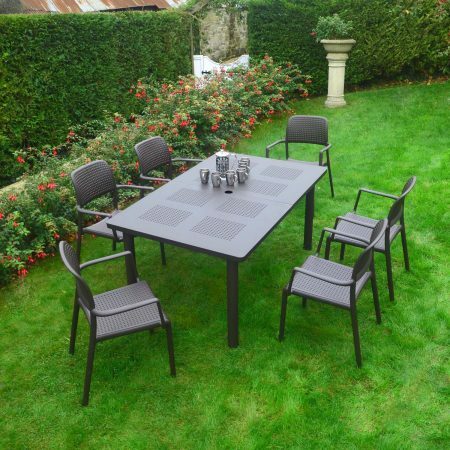 The set is weather resistant, the accompanying Bora chairs stack and are very comfortable, all finished off in a stylish dark grey, the Libeccio set is a real charm. 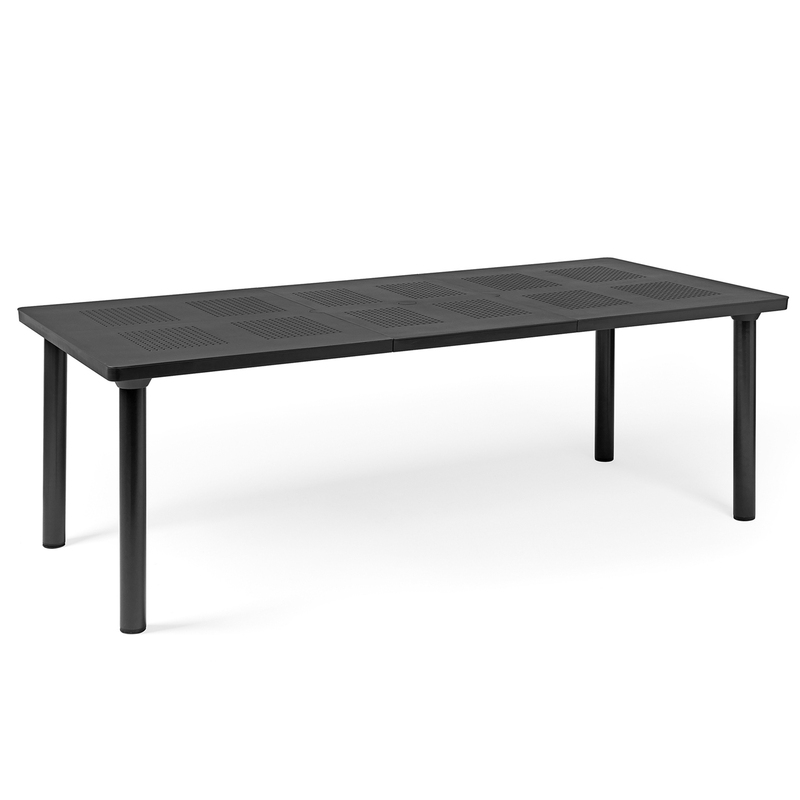 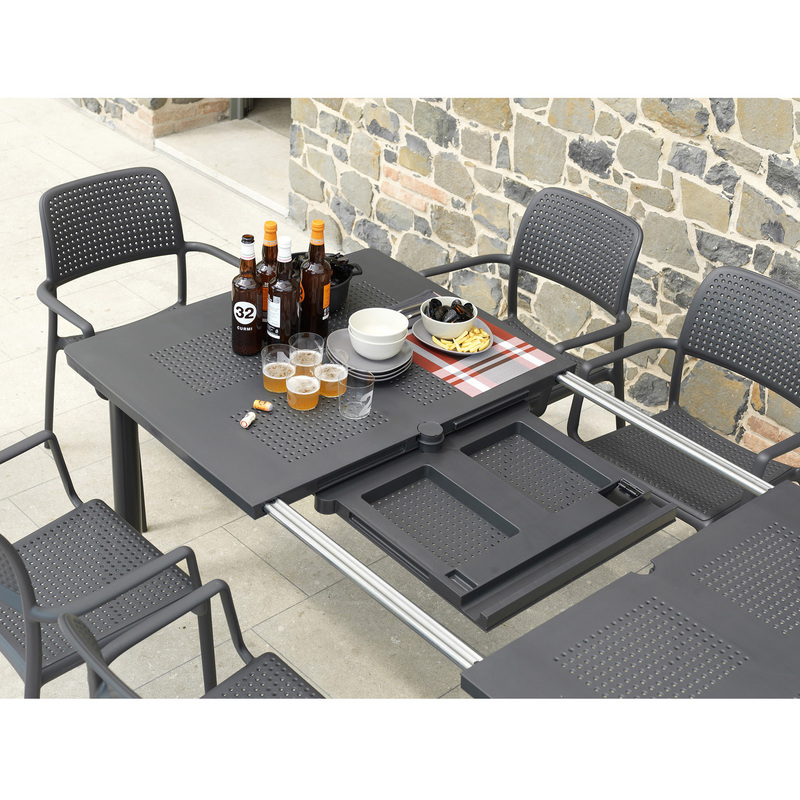 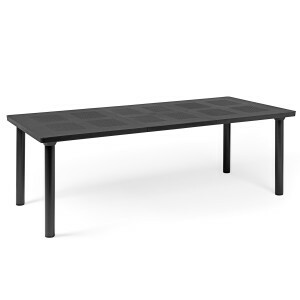 The extending Libeccio table extends from 160cm to 220cm and is 100cm wide. 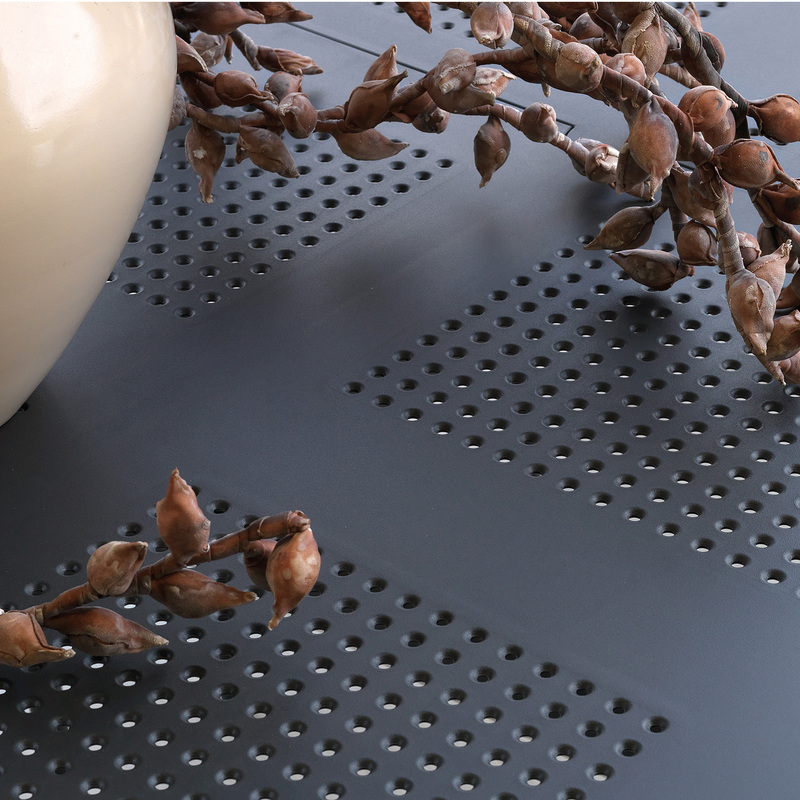 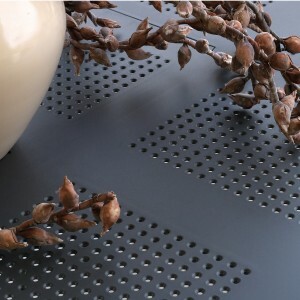 Manufactured from resin and fibre glass, the textured finish is something unique and is very strong. 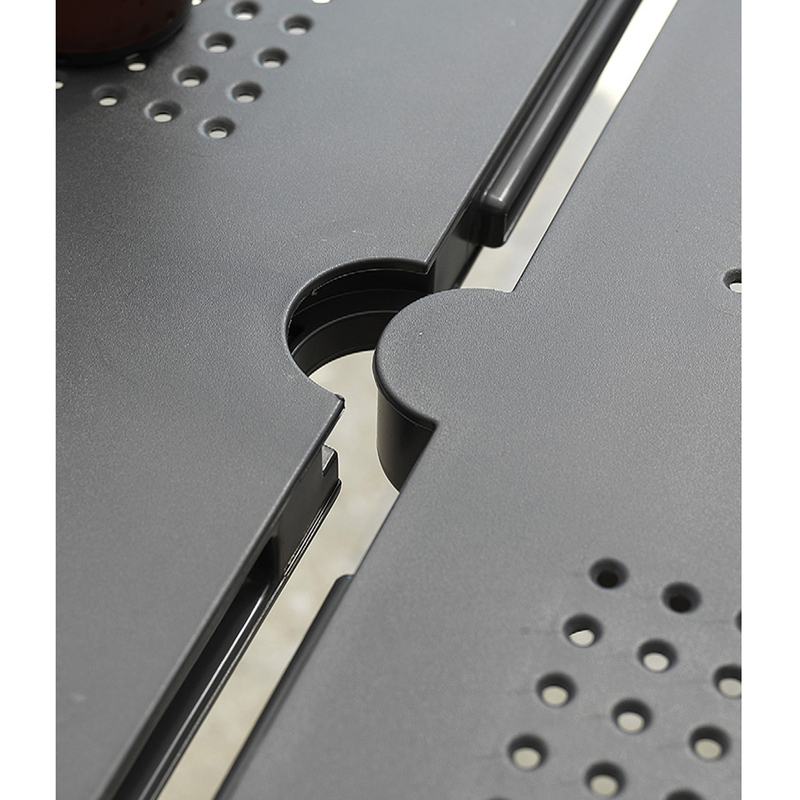 The table legs are aluminium powder coated to match the table top. 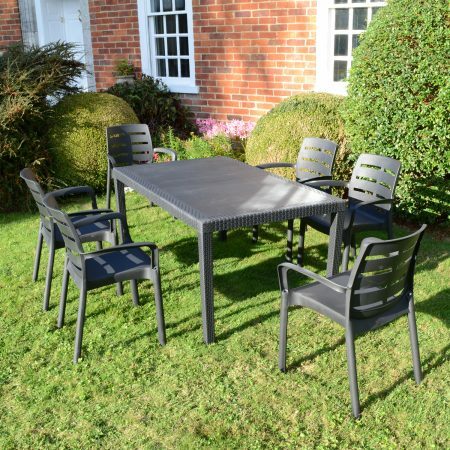 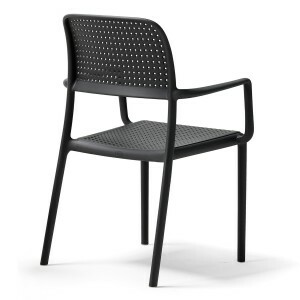 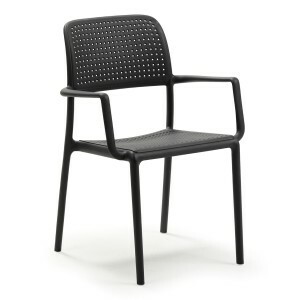 The Bora chairs stack and are very comfortable, also manufactures from resin and fibre glass they are very strong and it is this strength that has allowed the chairs to be produced with the thin stylish legs.